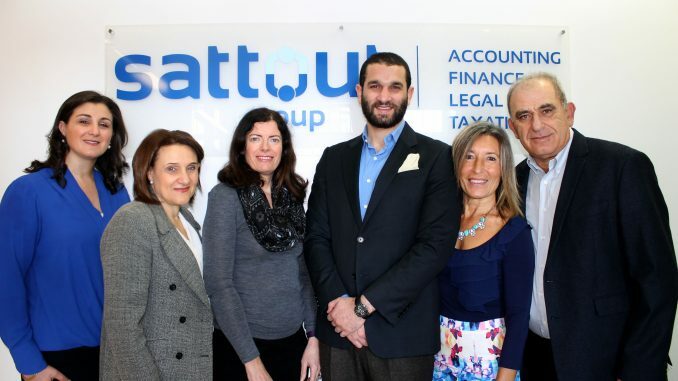 Sattout Accounting Services is a family run business that has operated for the past 34 years. Located in Strathfield next to his brother’s law firm, Sam Sattout says he and his family are thrilled to be nominated for the Local Business Awards. “This is a recognition of the hard work that we have put into operating the business for over 30 years. We strive to do our best for all of our clients, and to be nominated for the award is a bonus,” he says. Sam speaks to Ciao about his favourite part of work and what’s next for the business. Sattout Accounting Services is a full service agency who supports our clients in the areas of home loans, commercial loans, investment loans, tax and accounting. We are focused on helping people on their journey in their own business and/or family life. Our work ethos is that every client that comes to us is treated as one of the family, and in most cases we are now servicing the children and grandchildren of our original clients. This is a testament to the trust that our clients have in us to best support their families’ needs. It’s very satisfying when our clients leave the office feeling much better about their situations than when they came in. We find we’re able to solve most of their business and financial problems with some TLC and sound advice. Why should people choose your business over other accounting services? I think it’s because we offer a personal approach to everything we do and pride ourselves on our integrity and honesty. The person you meet at the first meeting will look after you from day one. We work collaboratively across the business and with our referral partners to provide an all-inclusive service. A great example of this is in the area of property investment as we can arrange financial advice, provide tax advice, arrange loans and offer conveyancing services under the one roof. We don’t charge a fee to our clients to arrange their home, investment, commercial, car or equipment loans. We assess the individual situation of each client to understand their needs and find them a variety of suitable options. We are accredited across a large range of lenders. The staff pride themselves on finding finance solutions for our self-employed clients and take the time to educate our clients in this area so they can better plan and grow their business. We’re even open for appointments on Saturday as we know it can be hard to come in during the week. We have toys and colouring in to keep the little ones occupied while you are with us. Rebecca, my wife, also visits homes, businesses and workplaces to make the finance process smoother for our customers. What do you love about the Inner West? The Inner West is a vibrant yet down to earth region of Sydney. The people are mostly very friendly and welcoming.The region is easily accessible from anywhere in Sydney, you very rarely have the problems with traffic congestion, and parking facilities are readily available within close proximity to our workplace. We’ll strive to continue building our business in the Inner West. Sattouts are dedicated to continuing to serve the community both with our professional services and by supporting our local charities. Our goal to go paperless will help us to achieve sustainability both environmentally and socially. Of course in order to grow, we’ll continue to expand our services to meet our clients’ growing needs. I can see financial planning, insurance, business-to-business marketing services and change management fitting nicely under the banner in the coming years. I can’t wait to see the business passed on to our future generations. Our family continues to grow and we hope to provide the grandchildren with a business that will support them and their families for years to come. Thank you! Thank you! Thank You! We will continue to provide the services that you have come to expect and look forward to a long and enjoyable relationship.